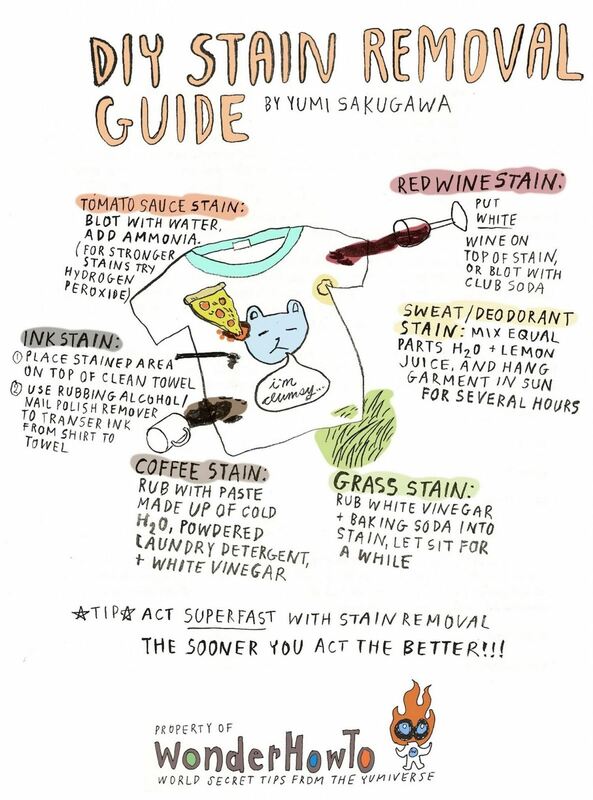 What do you do when you accidentally stain your favorite article of clothing with coffee, red wine, or pasta sauce? If you aren't within immediate reach of laundry detergent or commercial stain removers, you can use many common household staples such as baking soda and white vinegar to remove the offending stains right away—sometimes even better than their commercial counterparts. A few quick pointers: Act fast! The longer you wait to remove a stain, the harder it will be to eliminate. And after soaking the stain in your DIY stain remover, it helps to place the article of clothing in the washer afterward as an extra step. This is a great guide! Your others are too! I am an immediate fan and I love this guide especially!! But, you misspelled the word TRANSFER under ink stain.